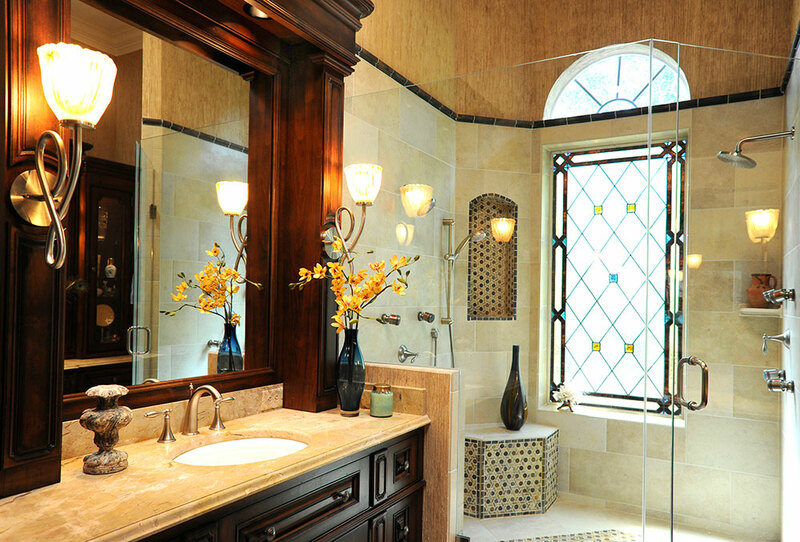 Having lived with a poorly designed master bath for 15 years, our clients were ready for a significant upgrade in its style and function. 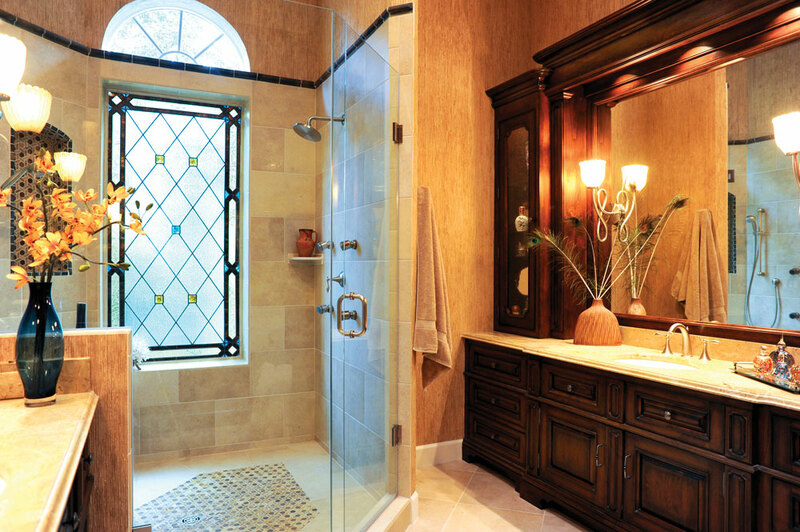 We created an entirely new floor plan, eliminating the tub and instead creating a large, luxurious shower. Lighting in a bathroom with 12’ ceilings is challenging, so as we designed the custom cabinetry, we included valances with recessed, dimmable lights and space for high wattage Venetian glass sconces. 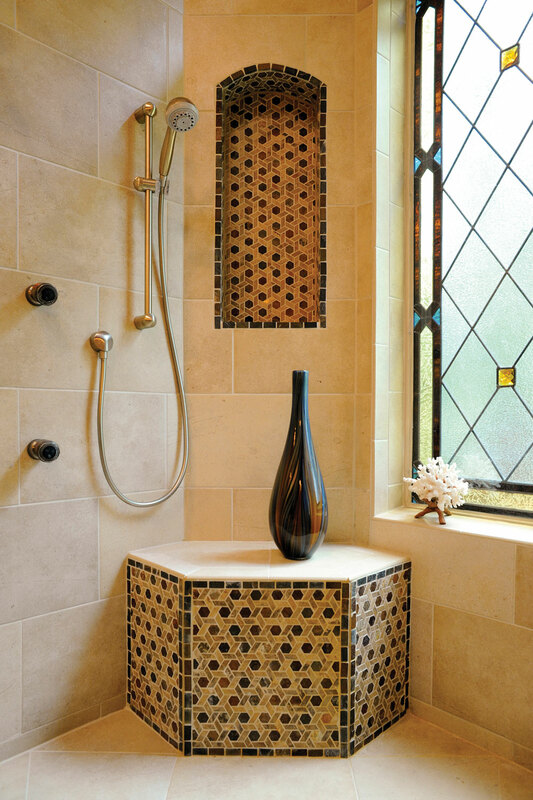 The inspiration for the colors throughout came from the unique Moroccan marble/slate mosaic we found. 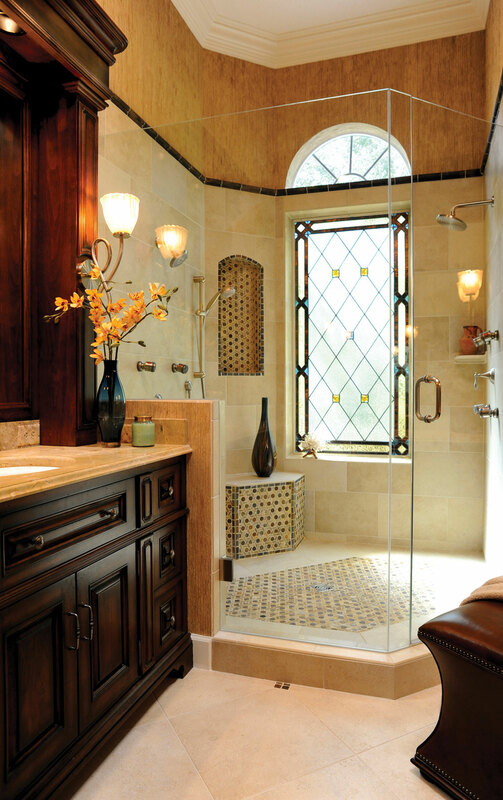 The stained glass window repeats the slate blue and amber tones, as do the slate accents in the limestone look porcelain flooring.